Robert Nading was born and raised in Des Moines, Iowa. He attended Saydel High School. He is a Vietnam-era veteran having served in the U.S. Air Force from 1971 until 1974. He served in the Iowa Air National Guard from 1974 through 1976. 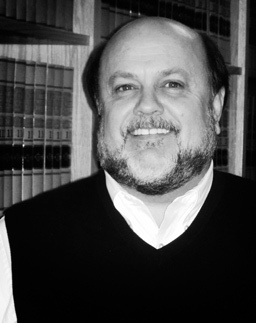 He has dedicated his professional life to the practice of law since 1981. While in law school, he clerked for Robert Hall and Larry Eisenhauer. After graduating from law school, he started his own law practice and has been at the same location since that time. Robert (Bob) has been protecting clients’ rights since 1981. He has litigated cases ranging from successfully defending the most serious criminal charges (Murder in the 1st Degree) to the most serious civil cases (wrongful death claims and catastrophic injury cases). He has assisted injured clients recover compensation in cases such as school bus accidents, motorcycle accidents, construction site accidents, injuries occurring in manufacturing plants, injuries occurring from defective products, injuries resulting from medical negligence, economic injuries related to the negligence of other attorneys, and many others. He has successfully represented clients injured as a result of the negligence of government employees. He has successfully defended clients and businesses from oppressive government actions such as the taking of property or unreasonable zoning enforcement actions. Bob is proud to have become Board Certified in Civil Litigation by the National Board of Trial Advocacy in 1996. That organization has since changed its name to National Board of Legal Specialty Certification. Very few lawyers in Iowa have received Board Certification in Civil Litigation by the NBTA. To achieve that status, a lawyer must have met many requirements; you can read about by clicking on the link above. To maintain that Certification, a lawyer must be approved every five years after again meeting that Certification Board’s standards. Bob is a down to earth, easy to talk to, aggressive defender of individual rights.